We knew it was coming, but why so soon? People always complain when a company updates a product line (we’re looking at you, Apple). However, consumers justify the corporate evils as long as the product in question proves itself to be a significant upgrade. Microsoft promises this by showing off  a Windows 8 PC with amazing boot up times and a tablet-like interface that allows one to customize his or her own Metro Apps (think App Store except it’s Windows). Fast computers and pretty eye candy are important to students, but reliability and stability are more important. The Clog surveyed a handful of Berkeley students and obtained … interesting results. 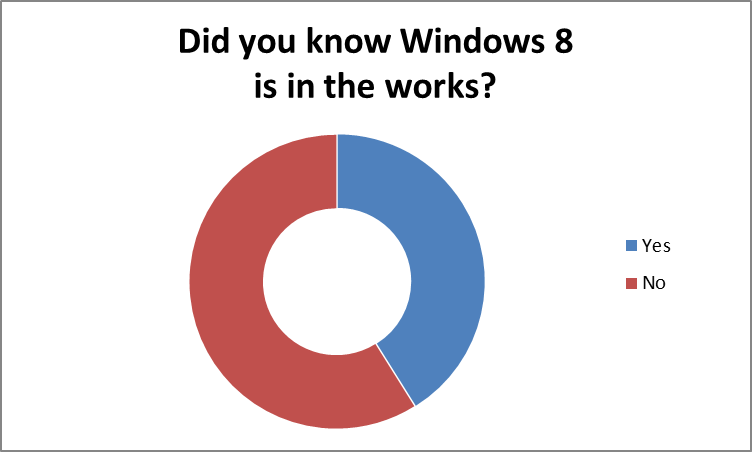 Thirty out of 73 students knew Windows 8 was in development, and 11 out of 73 students thought Windows 8 would be a worthy successor. If roughly 80 percent of computer users choose Windows , why are there such low expectations for success? Luckily, Microsoft still has about year left to convince us to tolerate buy a Windows 8 PC. 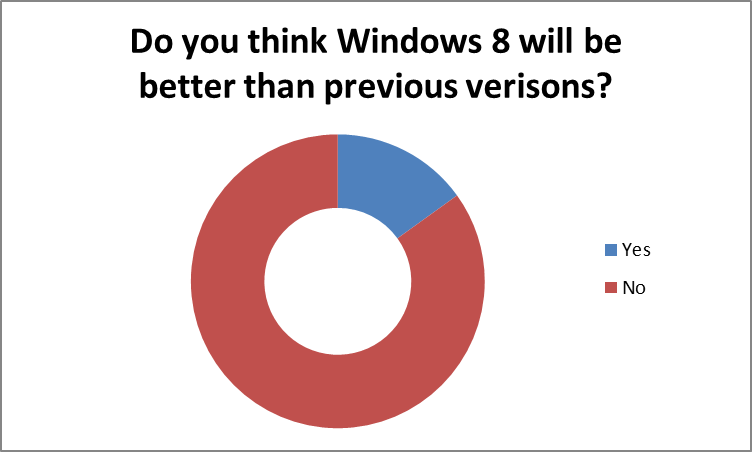 Currently, the operating system is looking at a late 2012 launch , so we have plenty of time to change our minds. Or we could just troll how expensive Apple products are.